Although based on technology in Lab.gruppens road-proven ▸ FP+ Series, the amplifier platform in the PLM 10000Q Powered Loudspeaker Management system incorporates further enhancements for even greater sustained output power. The basic output topology remains Lab.gruppens patented Class TD (offering Class D efficiency with the sonic purity of Class B designs), but with new circuitry for ▸ substantially greater current-carrying capabilities. The Regulated Switch Mode Power Supply (R.SMPS) is optimized to deliver full power during long low-frequency bursts, as well as maintain stable rail voltages despite fluctuating line voltage. The PLM 10000Q includes a revolutionary set of tools for fast, ▸ accurate load verification and real-time performance monitoring. The key to both features is the LoadLibrary, a comprehensive database that ▸ provides unique Fingerprints (load characteristics) for each loudspeaker model in the system. The PLM 10000Q contains four full-featured Lake Processing modules, each offering precise settings for gain, delay, crossover slope, equalization, and limiting. Exclusive Lake Proces-▸ sing algorithms are included for Raised Cosine Equalization, linear phase crossovers, LimiterMax loudspeaker protection, and Iso-Float ground isolation. 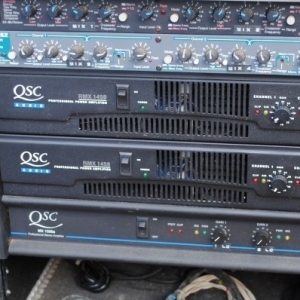 Raised Cosine Equalization is the foundation for the Lake Mesa EQ and the Ideal Graphic EQ, the two revolutionary EQ interfaces used by the Dolby Lake Processor. Mesa EQ offers asymmetric filtering to match the asymmetric responses of many loudspeaker systems. The Ideal Graphic EQ offers true sum-to-flat response, so the adjustments provide uniform boost and cut along with greater selectivity. Lake Controller software provides a unified interface for control and monitoring of all functions of the Powered Loudspeaker Management system. In addition to controlling all ▸ parameters of standard Lake Processing (therefore appropriate for use with Dolby Lake Processors), all new versions provide control and monitoring of exclusive PLM features: digital input gain and attenuation, and load verification and performance monitoring via LoadSmart and SpeakerSafe. The flexible Lake Controller software environment can control extensive networks of powered loudspeaker management systems from a single computer. The user interface is based on discrete processing modules, with each module assigned to power outputs normally defined for sets of band-limited drivers (e.g. 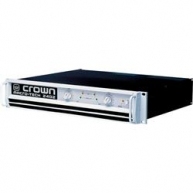 low, mid, high, subs). Adjustments can be made in real time to any parameter of any module on the network. Modules may be assigned to groups representing subsystems in larger systems, such as main arrays, delays, and fills in an arena system. The PLM Series Powered Loudspeaker Management systems are equipped as standard with Dante, a self-configuring digital audio networking Solution from Audinate of Australia. Based on the newest developments in networking technology, Dante provides ▸ reliable, sample-accurate audio distribution over Ethernet with ▸ extremely low latency. Dante incorporates Zen, an automatic device discovery and system configuration protocol which enables PLM Series products and other products with Dante (like Dolby Lake Processors) to find each other on the network and configure themselves. PLM 10000Q - Corporate used PLM 10000Q in mint condition. PLM 10000Q - Package of (9) PLM 10000Q in great condition, previously used on a few rentals. PLM 10000Q - B-STOCK PLM 10000Q in excellent condition.